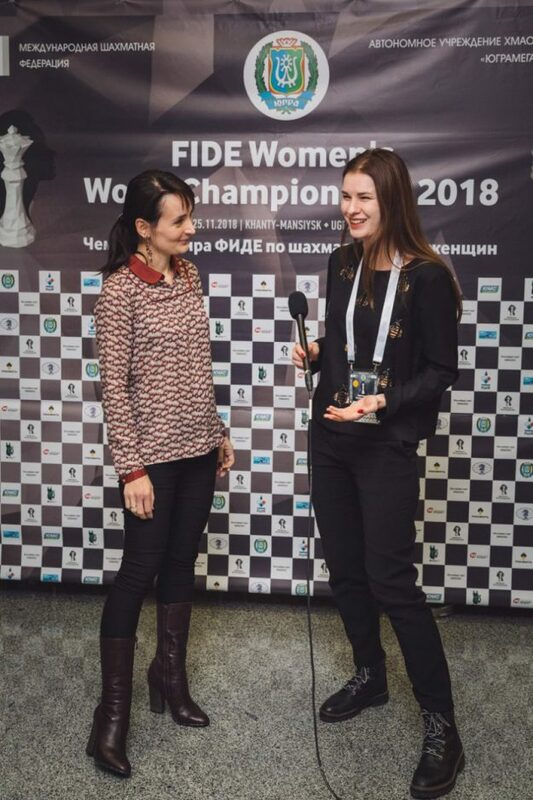 – Kateryna, tells us please about the events of the first game against Ju Wenjun. – It was a complicated game. We both were a bit sleepy in the opening, and then later, when the position began to spin, we got short on time. It is difficult to give a correct assessment right now, but it feels neither of us had serious chances at any point, so the result is fair. In any case, I did not see any better alternatives for me, while Ju Wenjun was clearly trying to play it safe and solid. Although I did not see anything crushing for her as well. 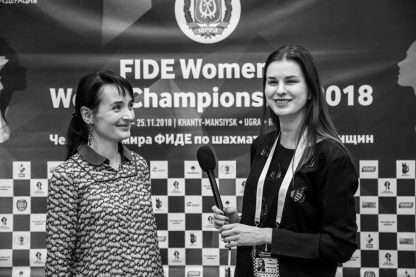 – Do you think playing it safe and solid is the main strategy of your opponent here? This is not the first game she plays like that. – As you can see, it brings her fruit. Apparently, she is good at it.